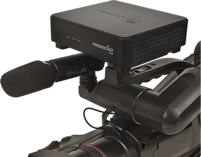 Freedocast provides hardware and software solutions for live broadcasting. Freedocast aims to provide high quality solutions and features for live streaming at affordable prices. Freedocast is the pioneer in providing the live experience through video. Freedocast was started 6 years back with the aim to provide real time experience to users. Freedocast is a product by YuppTV, pioneer and one of the world’s largest online over-the-top (OTT) entertainment solutions provider. 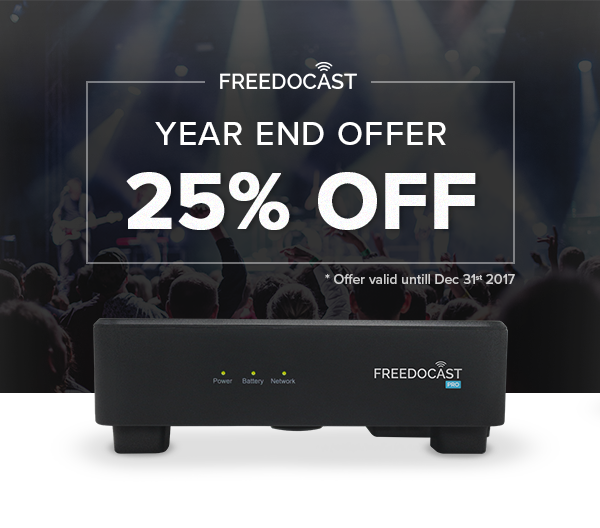 Freedocast Pro Device broadcasts live videos in HD Quality to multiple platforms like Facebook Live, YouTube Live, Twitter/Periscope or any other RTMP supported platform. The Device can be connected to any video source including camera and switcher to go live and can be easily controlled via Android/iOS App. The App can be used to preview, control & monitor live broadcasts. Freedocast Live Streaming Platform is designed as a one-stop-solution providing cloud transcoding & Adaptive Bitrate streaming for best viewing experience in low bandwidths, real-time analytics, Ad-integration, geo-blocking & password protection for control of events. Any external encoder can be used to go live through Freedocast Platform and simultaneously stream to multiple platforms. Freedocast Cloud Playout offers self-service cost-effective cloud-based playout solutions. Get full control over your content - Enabling you to monitor, manage, add graphics and deliver to your audience. Freedocast Cloud Playout solutions will help to reduce infrastructure cost in delivering the content and improve visibility. Innovation and providing the best services to constantly address the needs of users are the key to remain relevant in the domain and Freedocast is well abreast to provide reliable and scalable live streaming solutions.